Education Minister Bennett warns West is ignoring looming Iranian threat, calls for concerted strategic action to block 'Iranian empire'. 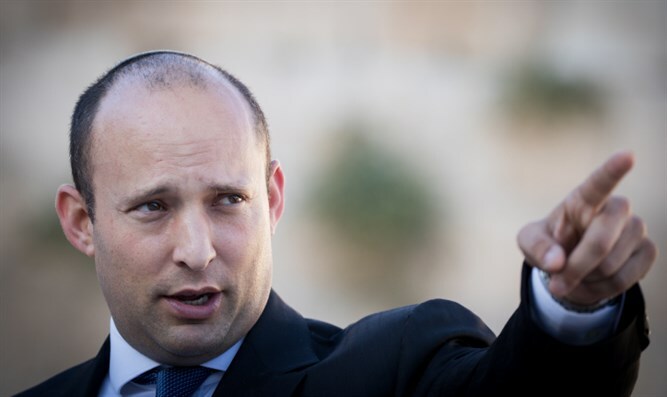 Israeli Education Minister Naftali Bennett (Jewish Home) warned that the West is ignoring the greatest threat to global security in its fight against ISIS, trading away long-term strategic security for short-term tactical gains. In an opinion piece published by The Wall Street Journal on Monday, Bennett argued that while ISIS had captured the West’s attention, the Tehran regime has been quietly expanding its influence across the region, working to establish radical Shi’ite hegemony over large portions of the Middle East. While ISIS atrocities have sparked outrage, Bennett claims Iran represents a far deadlier long-term threat, one which could extend far beyond the Middle East. As this “Iranian empire” grows in strength, America and her allies remain focused on combating terrorism, enabling Iran to expand almost unchallenged, Bennett contends. Bennett's piece can be read in its entirety here.